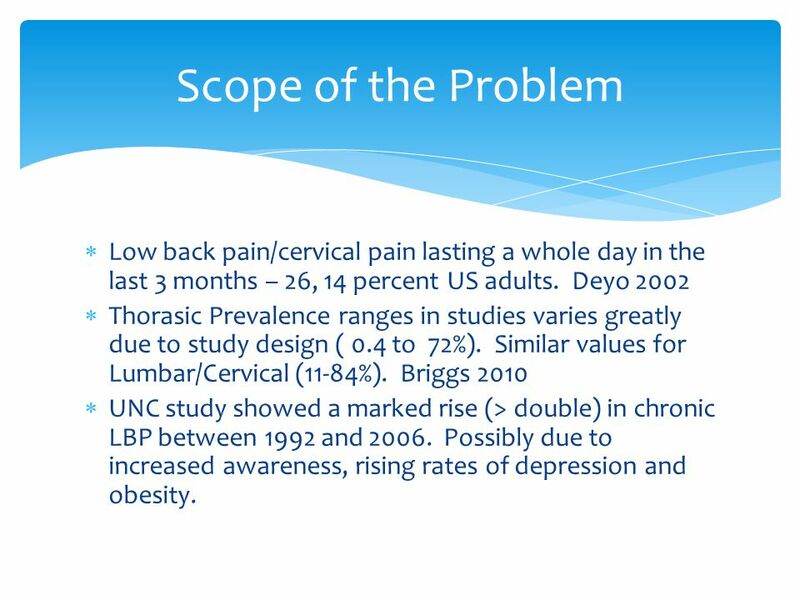 Screening Evaluation of Spinal Pain and Dysfunction John P. Kafrouni, MD Rebound Physical Medicine and Rehabilitation, Orthopedics, and Neurosurgery. 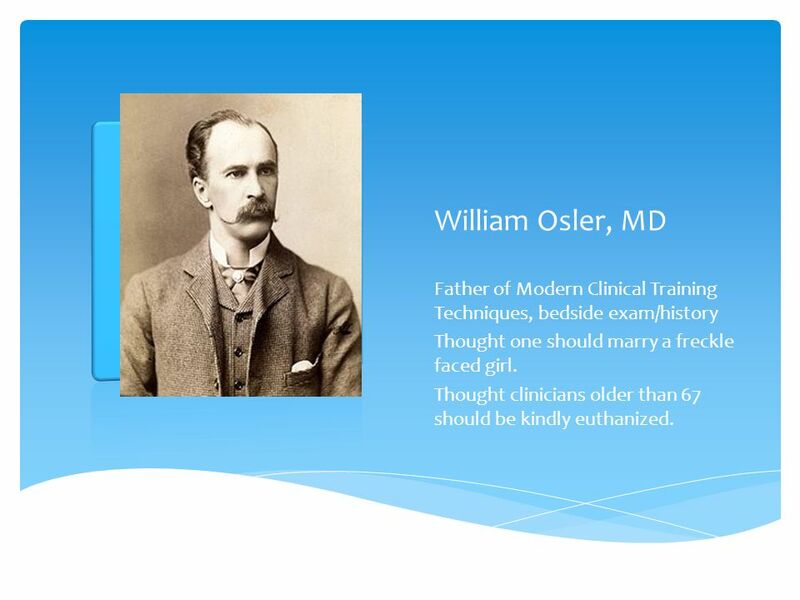 7 William Osler, MD Father of Modern Clinical Training Techniques, bedside exam/history Thought one should marry a freckle faced girl. 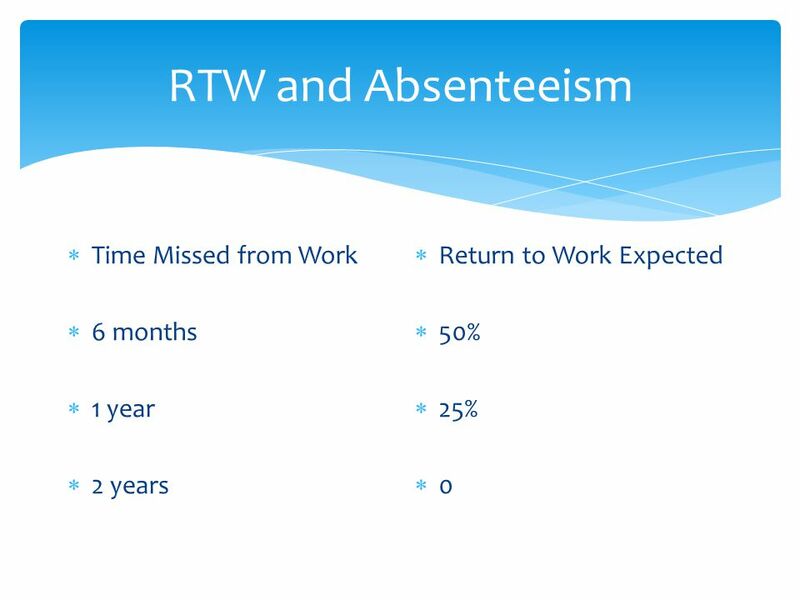 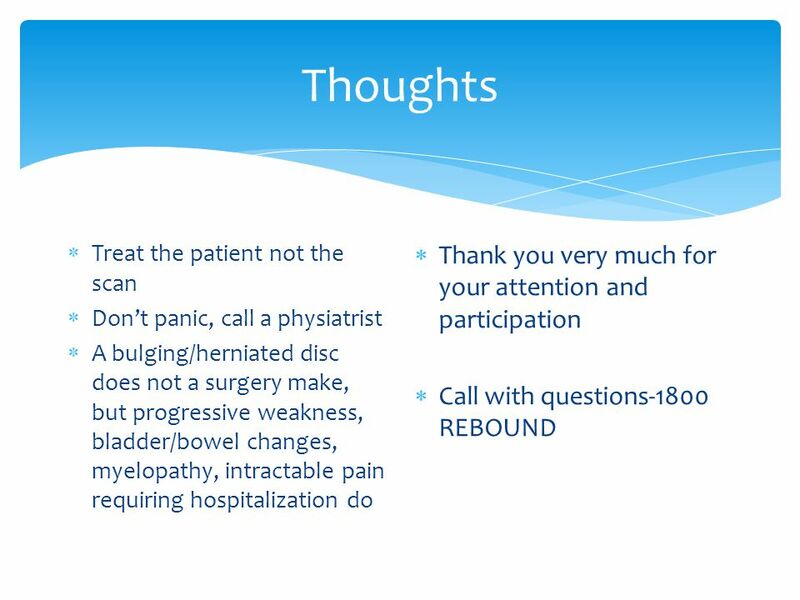 Thought clinicians older than 67 should be kindly euthanized. 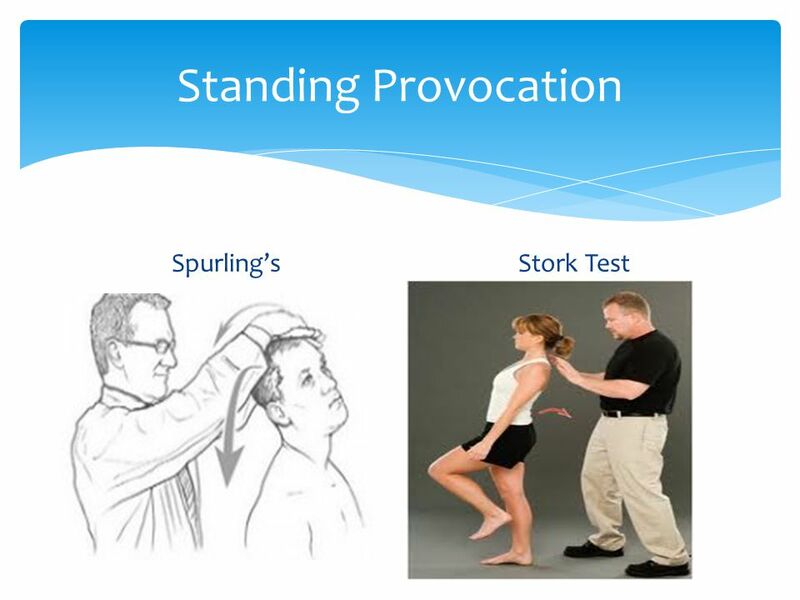 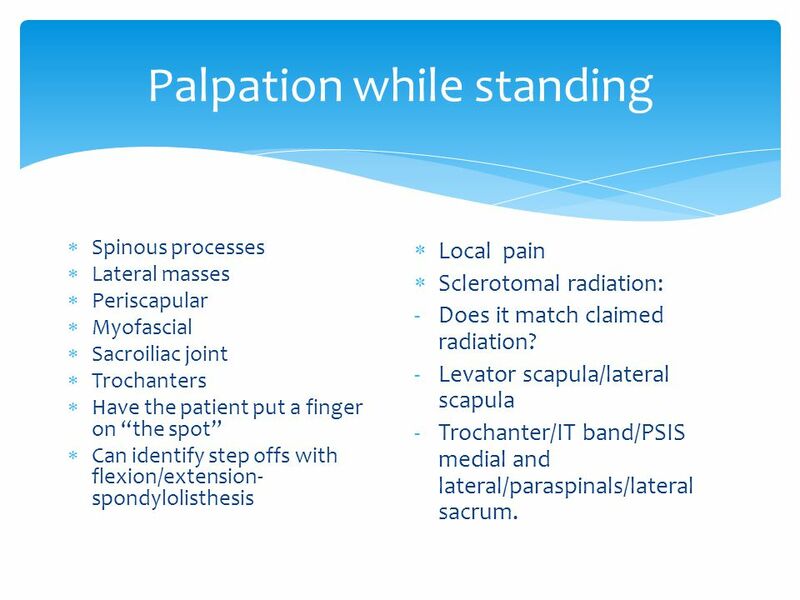 24 Palpation while standing  Spinous processes  Lateral masses  Periscapular  Myofascial  Sacroiliac joint  Trochanters  Have the patient put a finger on “the spot”  Can identify step offs with flexion/extension- spondylolisthesis  Local pain  Sclerotomal radiation: -Does it match claimed radiation? 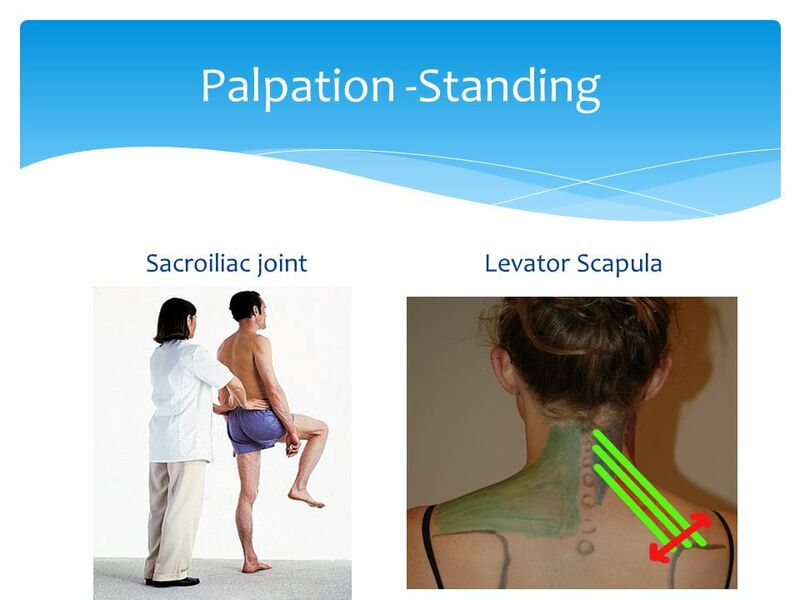 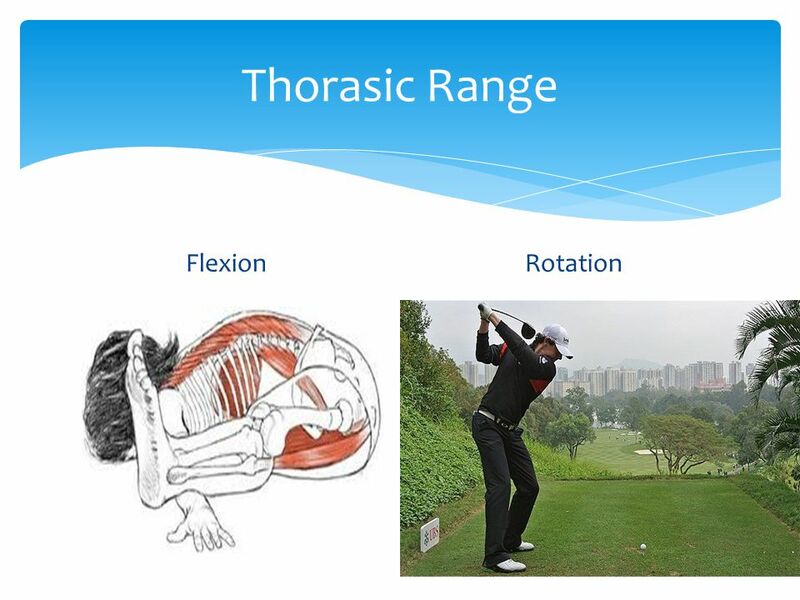 -Levator scapula/lateral scapula -Trochanter/IT band/PSIS medial and lateral/paraspinals/lateral sacrum. 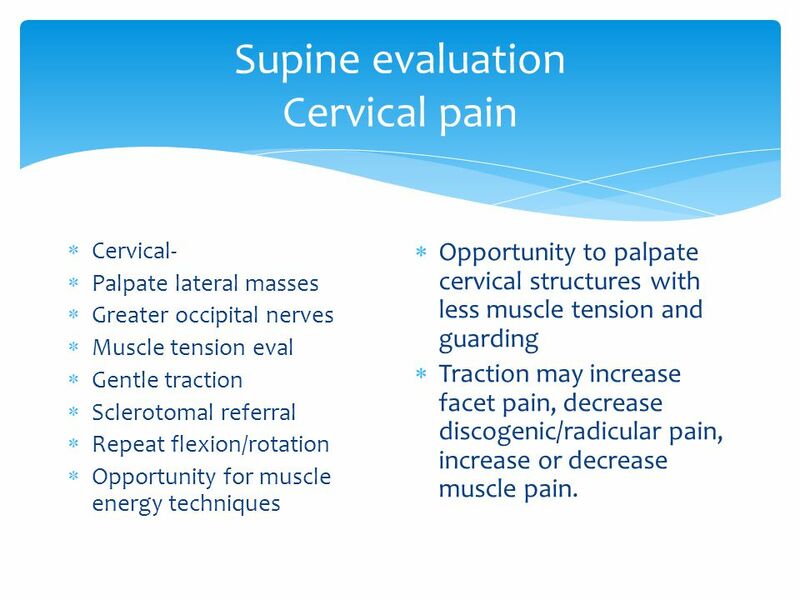 32 Supine evaluation Cervical pain  Cervical-  Palpate lateral masses  Greater occipital nerves  Muscle tension eval  Gentle traction  Sclerotomal referral  Repeat flexion/rotation  Opportunity for muscle energy techniques  Opportunity to palpate cervical structures with less muscle tension and guarding  Traction may increase facet pain, decrease discogenic/radicular pain, increase or decrease muscle pain. 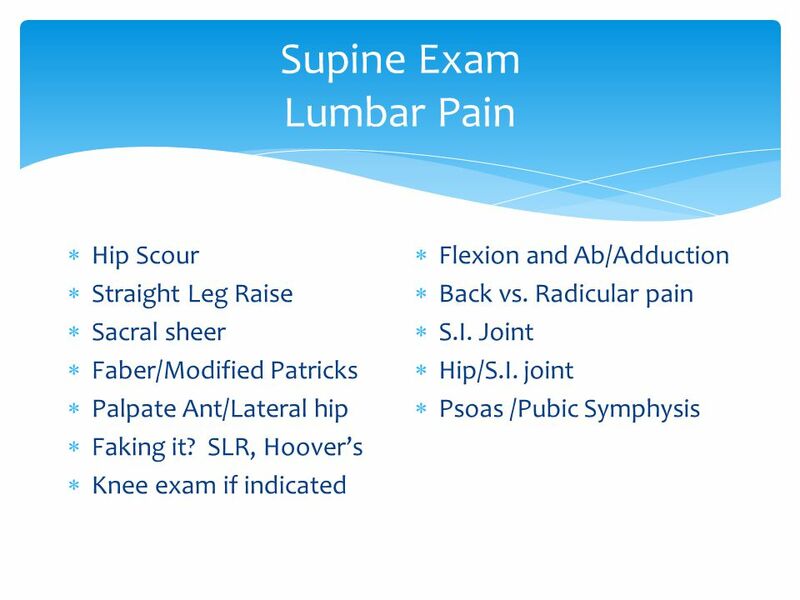 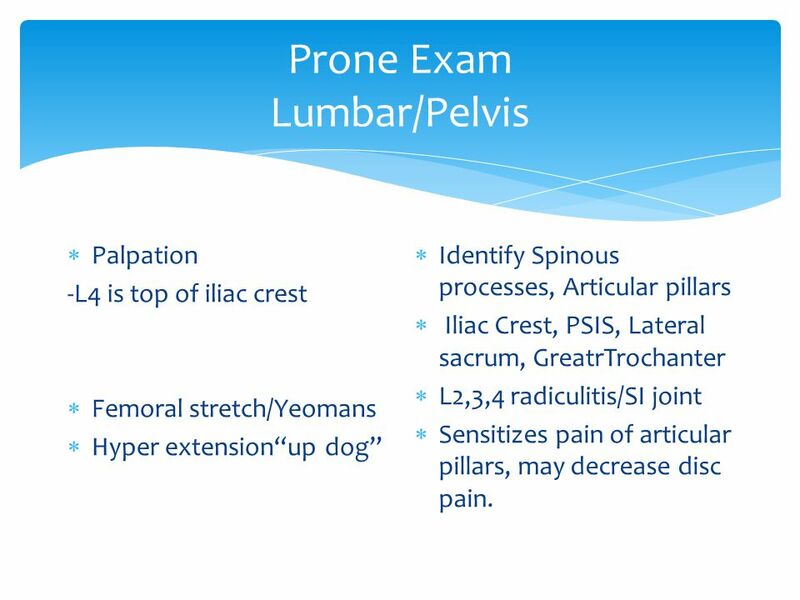 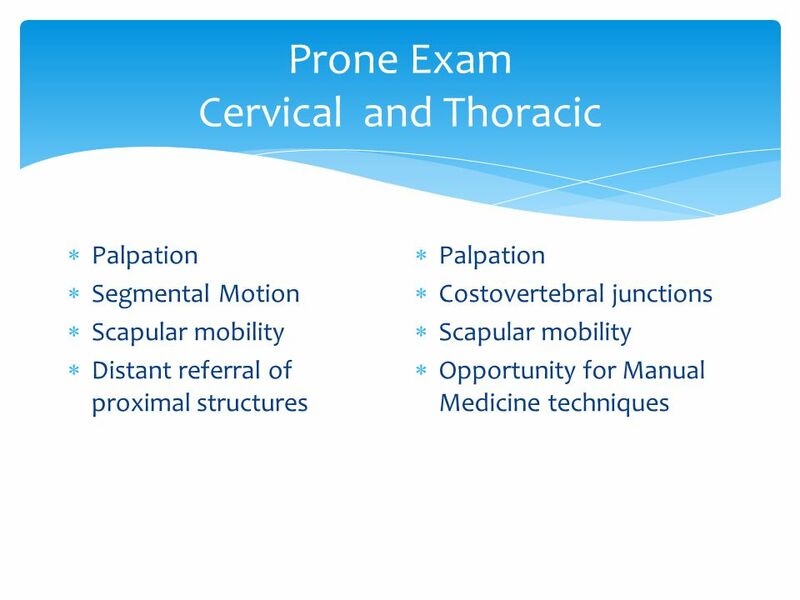 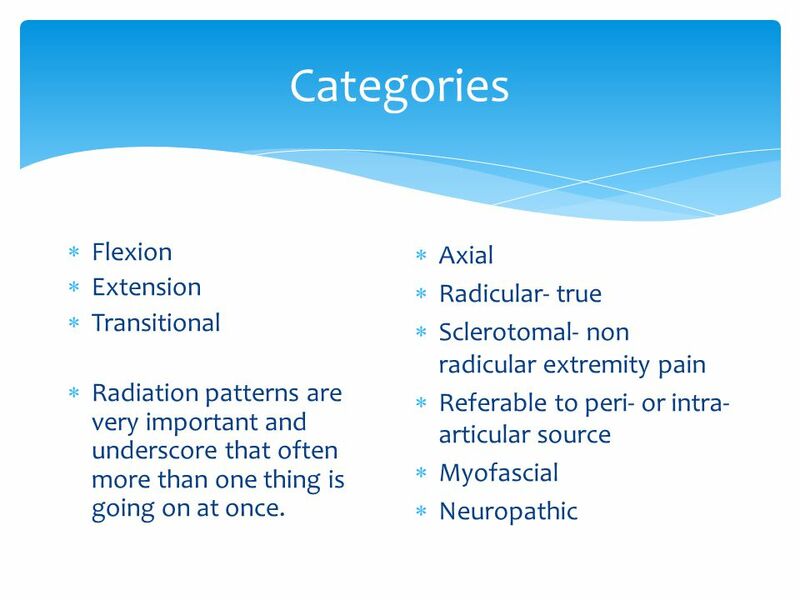 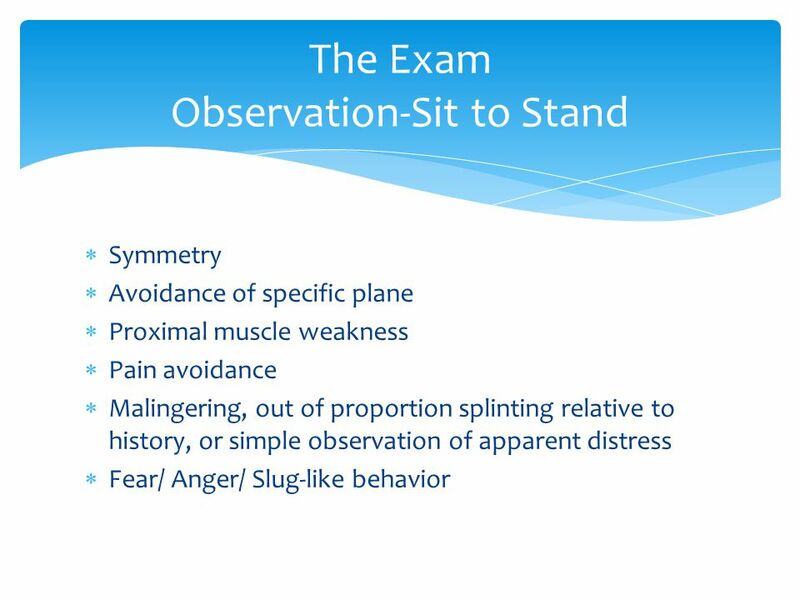 37 Prone Exam Lumbar/Pelvis  Palpation -L4 is top of iliac crest  Femoral stretch/Yeomans  Hyper extension“up dog”  Identify Spinous processes, Articular pillars  Iliac Crest, PSIS, Lateral sacrum, GreatrTrochanter  L2,3,4 radiculitis/SI joint  Sensitizes pain of articular pillars, may decrease disc pain. 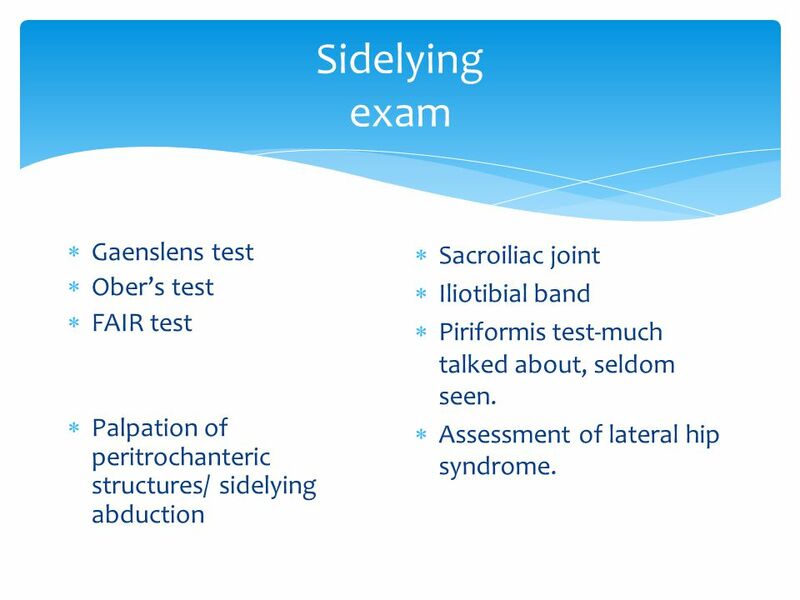 39 Sidelying exam  Gaenslens test  Ober’s test  FAIR test  Palpation of peritrochanteric structures/ sidelying abduction  Sacroiliac joint  Iliotibial band  Piriformis test-much talked about, seldom seen. 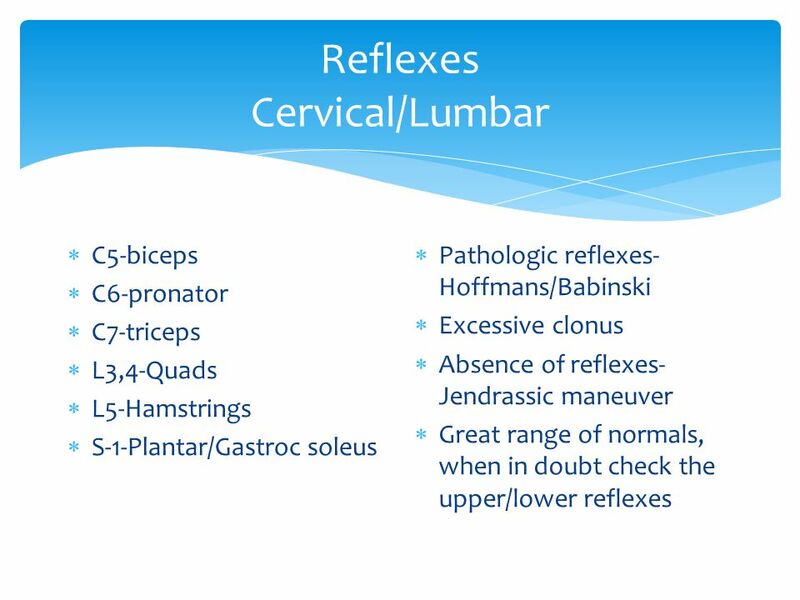 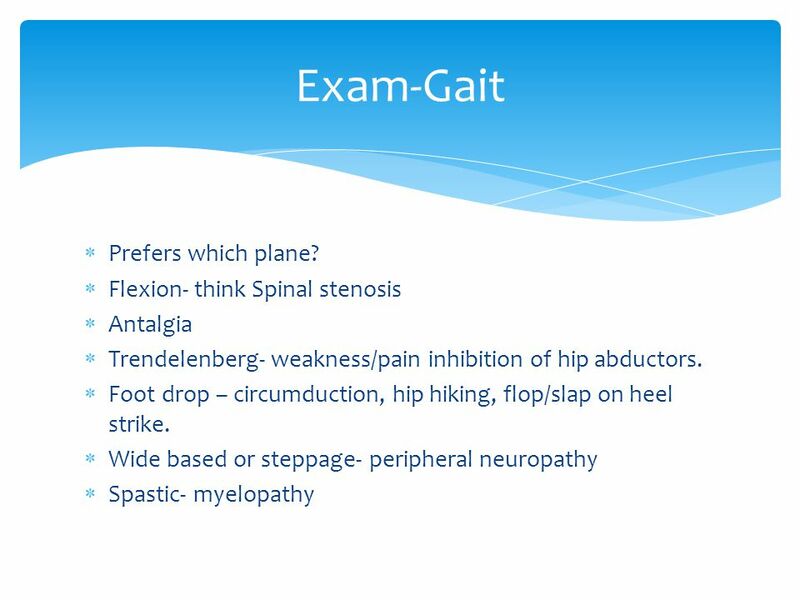 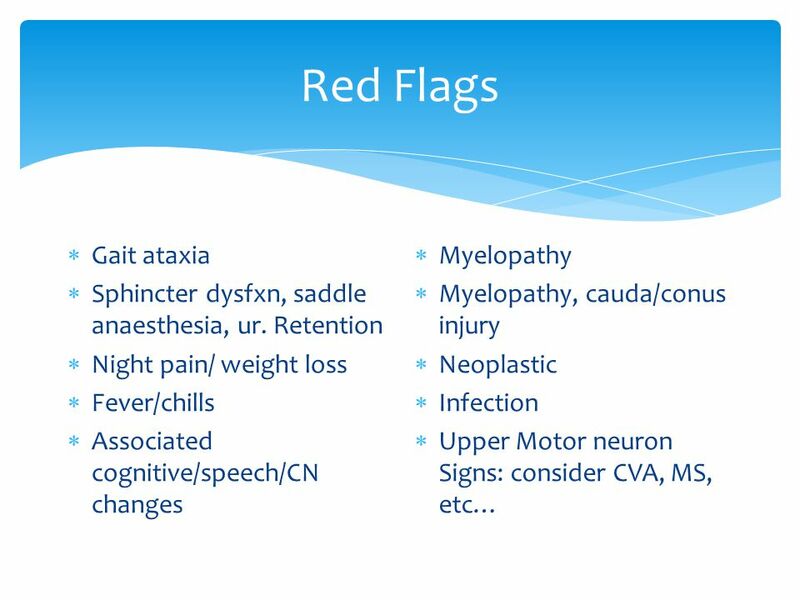 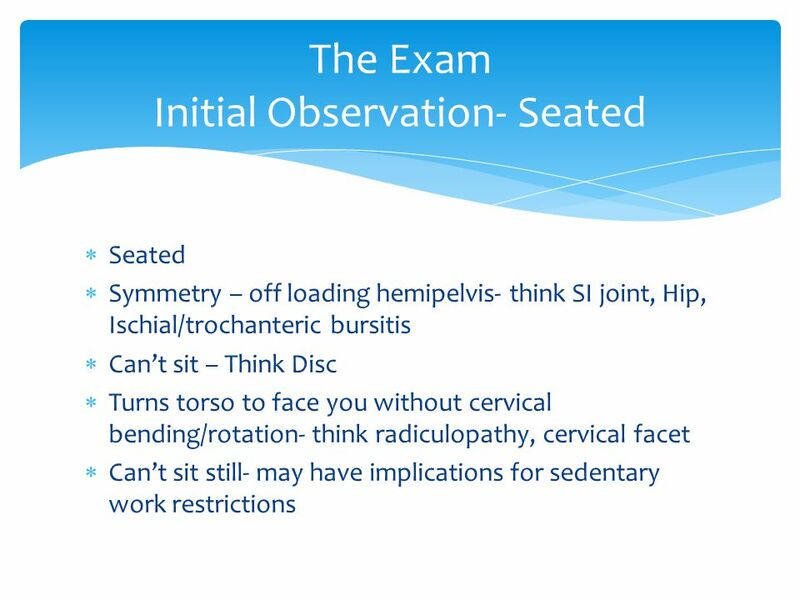  Assessment of lateral hip syndrome. 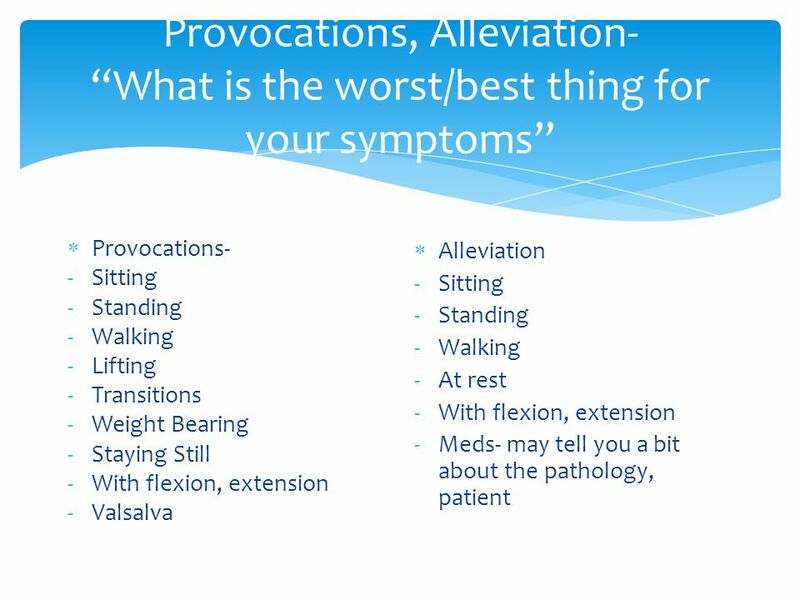 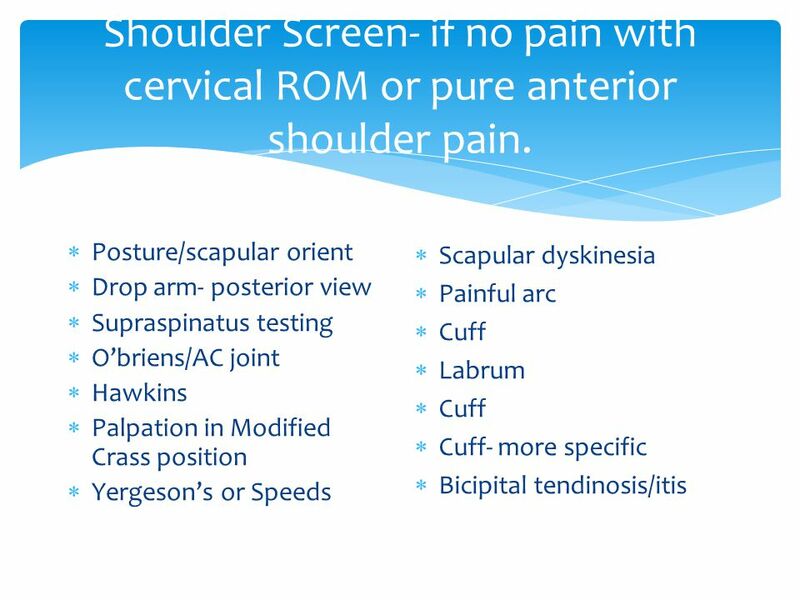 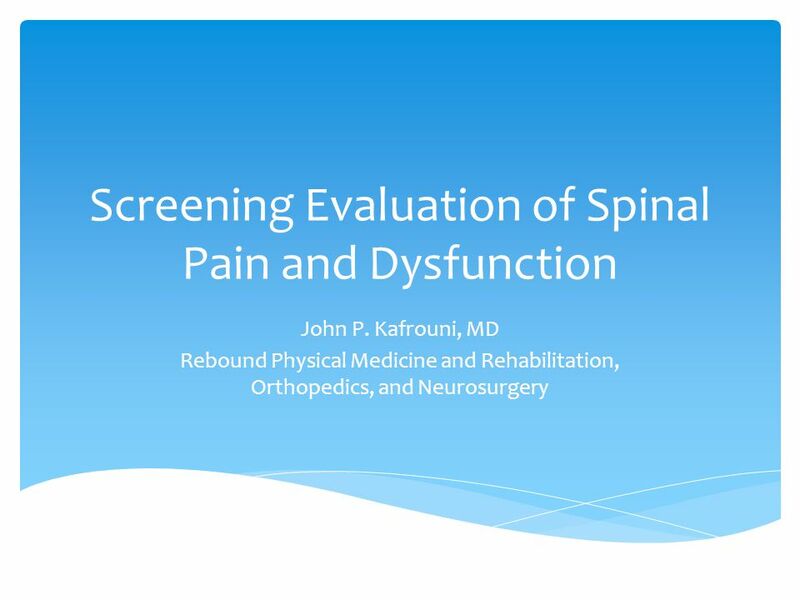 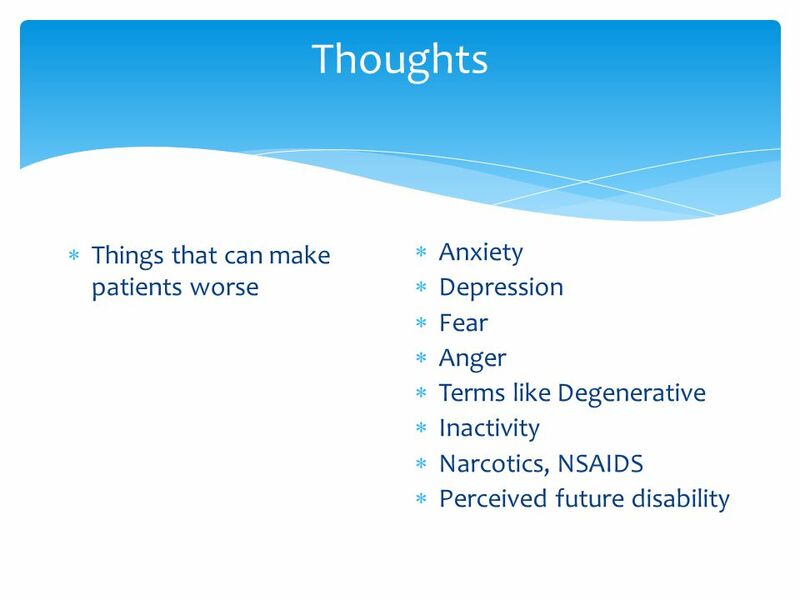 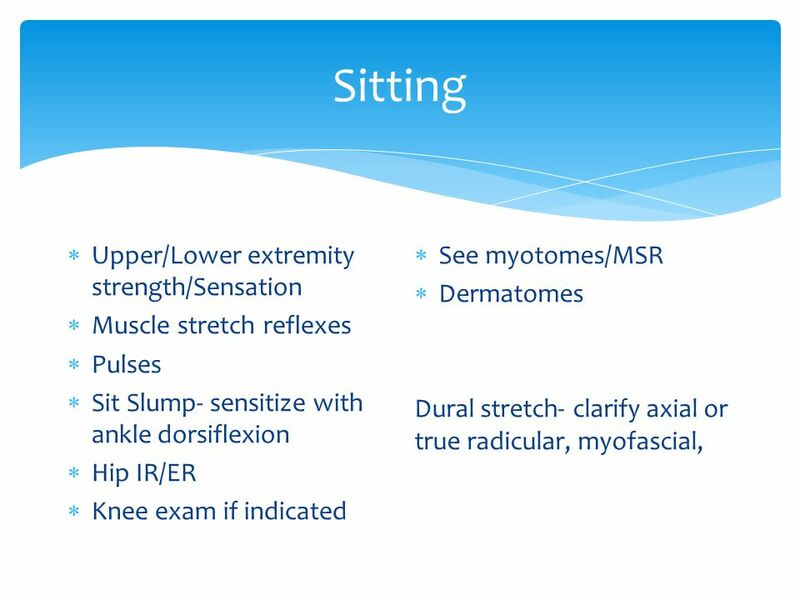 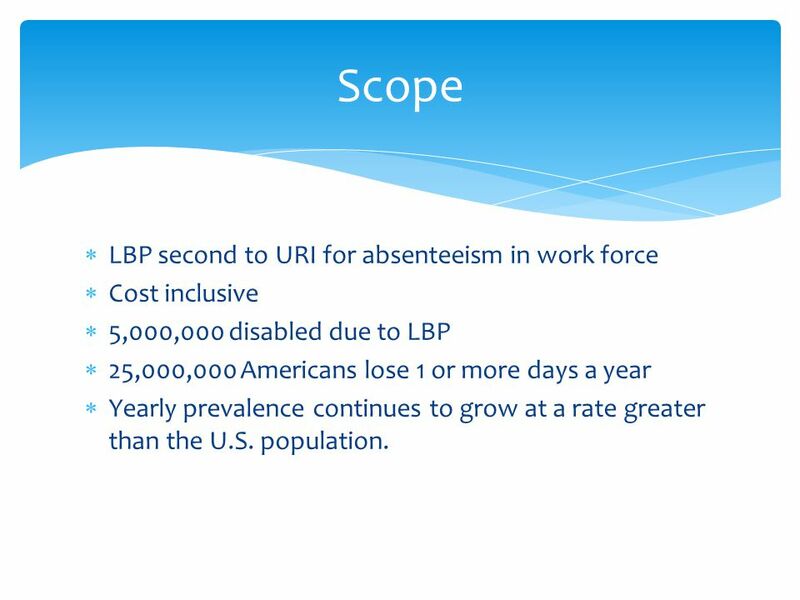 Download ppt "Screening Evaluation of Spinal Pain and Dysfunction John P. Kafrouni, MD Rebound Physical Medicine and Rehabilitation, Orthopedics, and Neurosurgery." 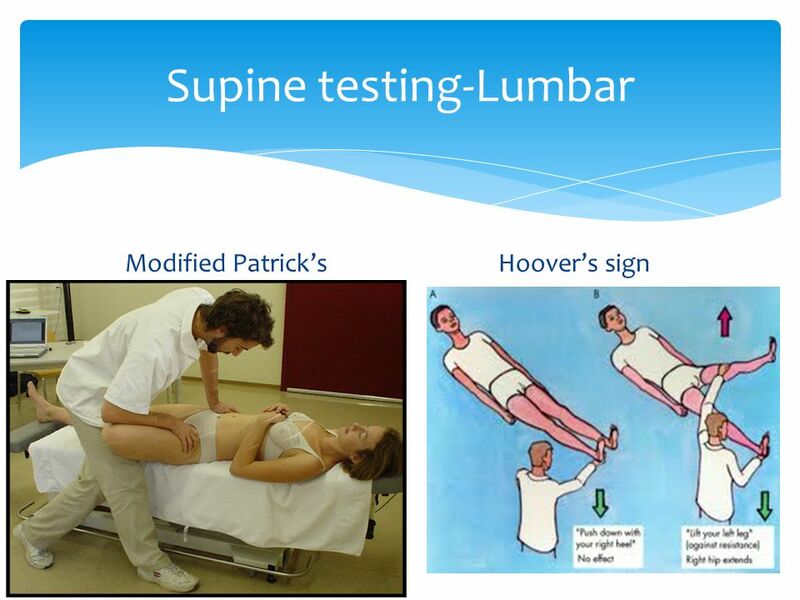 Spine Assessment Sports Med 2. 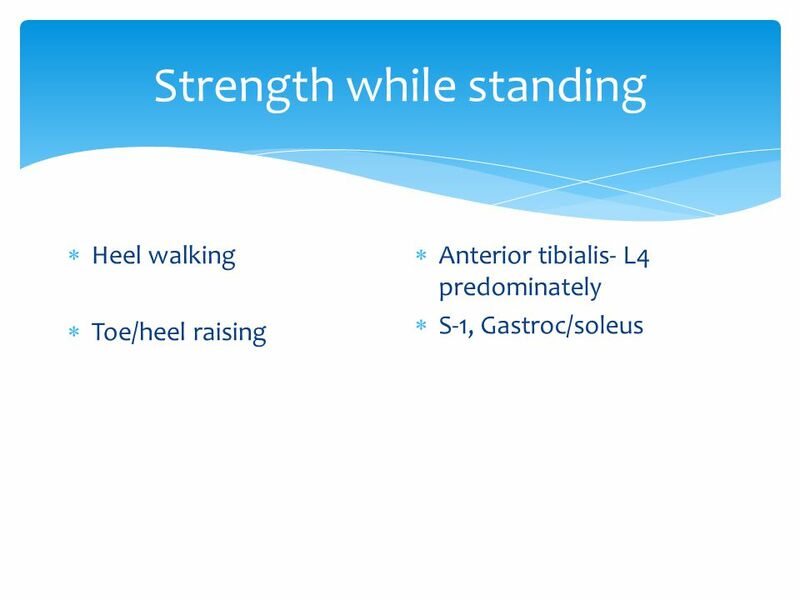 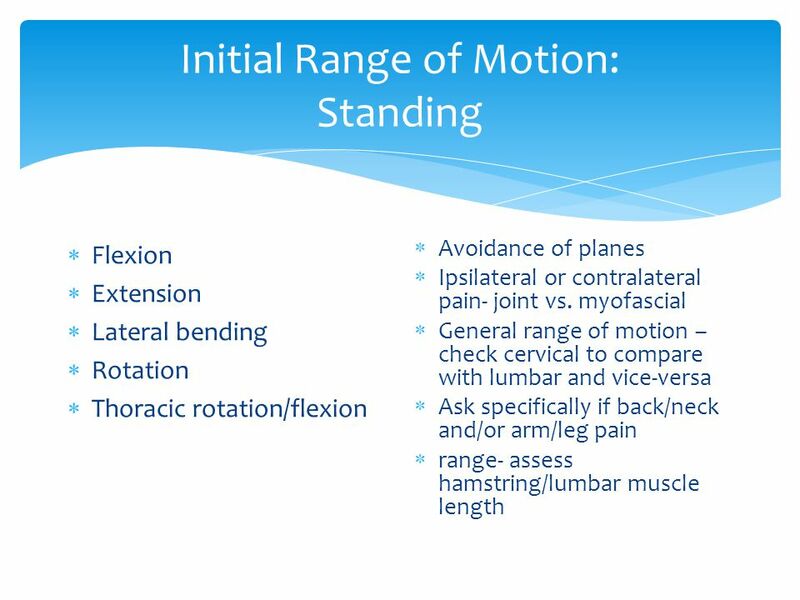 MUSCLE FACTS An external rotator, weak abductor, and weak flexor of the hip Provides postural stability during ambulation and standing Originates at the. 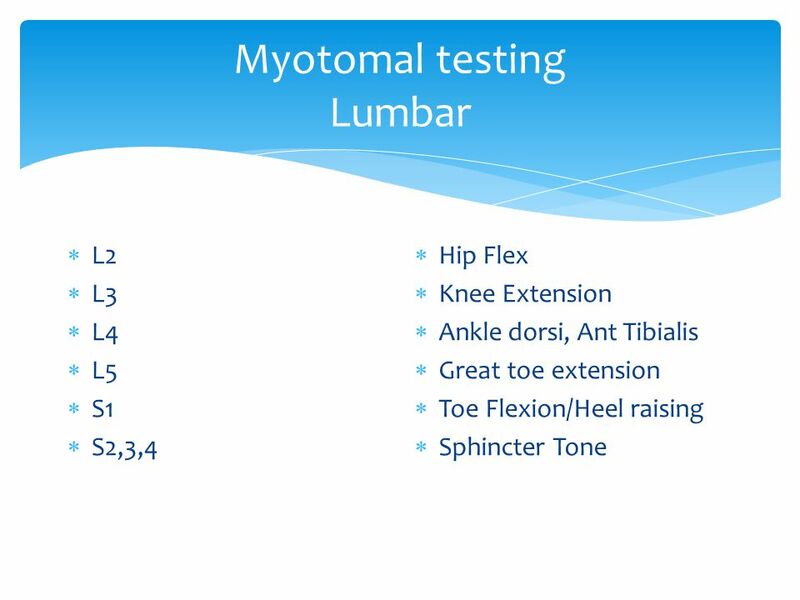 Hip and Pelvis Muscle Tests. 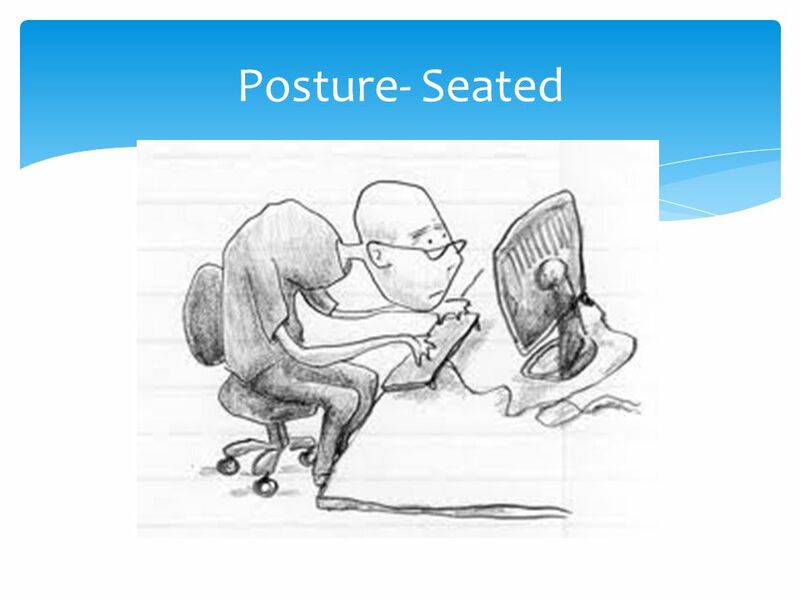 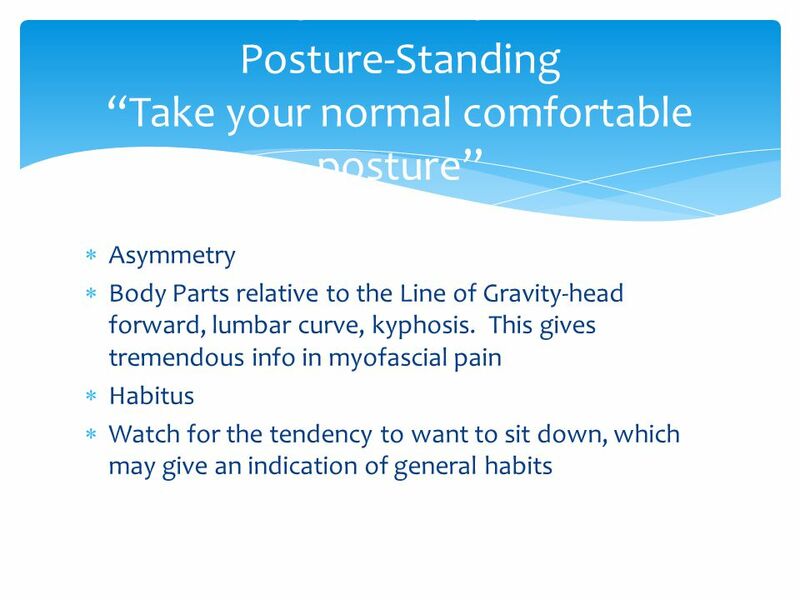 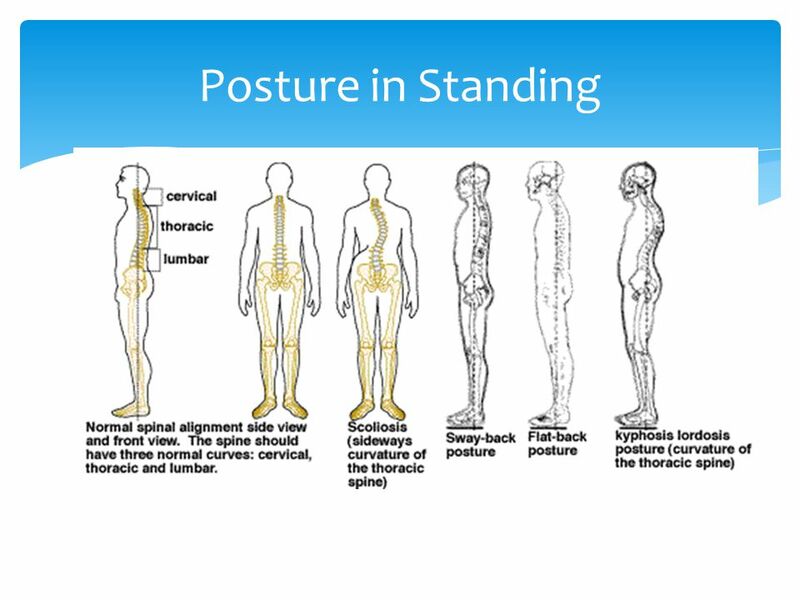 11 Posture and Body Mechanics. 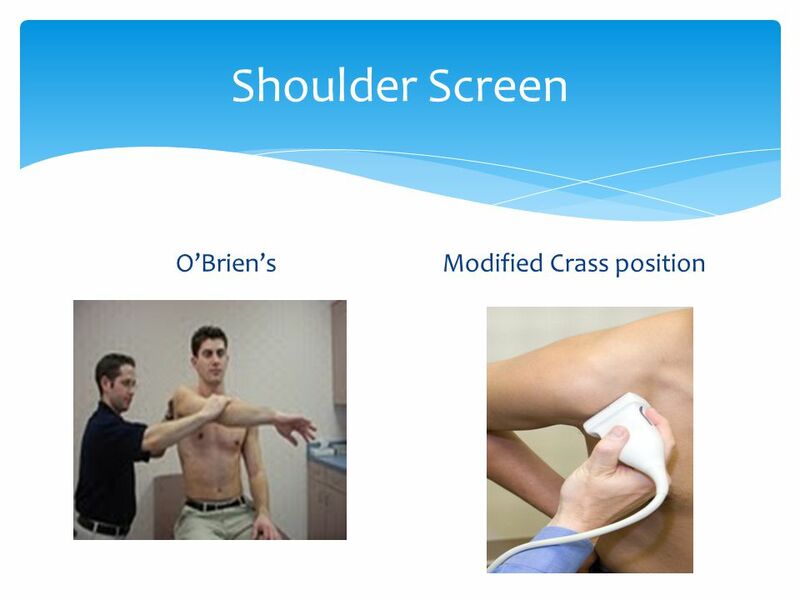 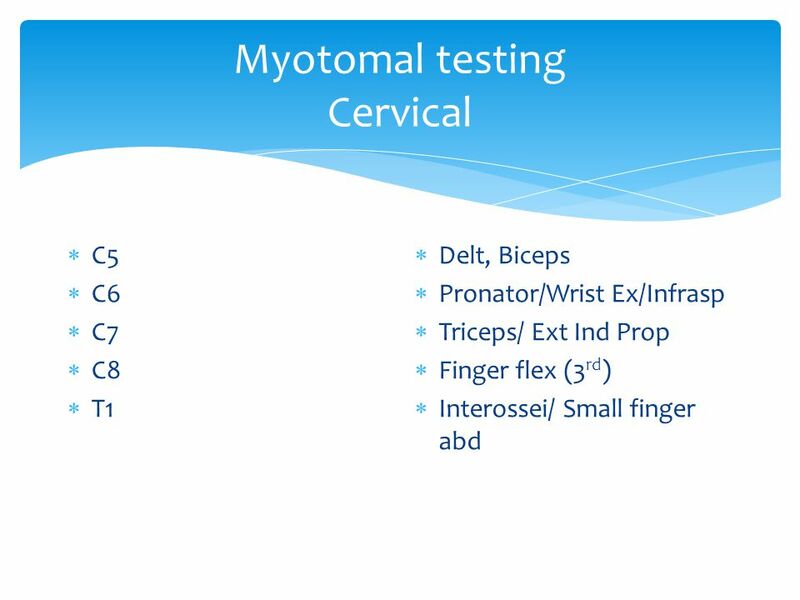 Musculoskeletal Examination Todd Milbrandt, MD, MS Pediatric Orthopaedic Surgeon. 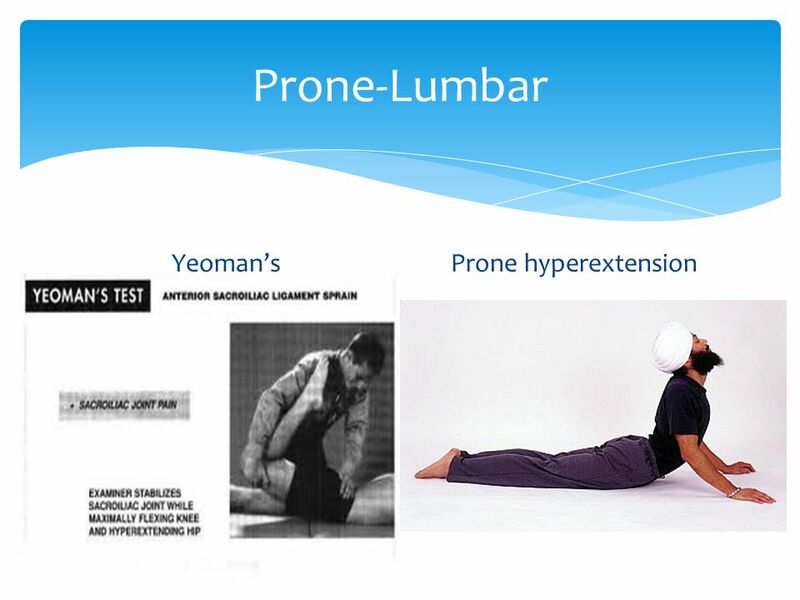 Hip Evaluation Advanced Sports Medicine. 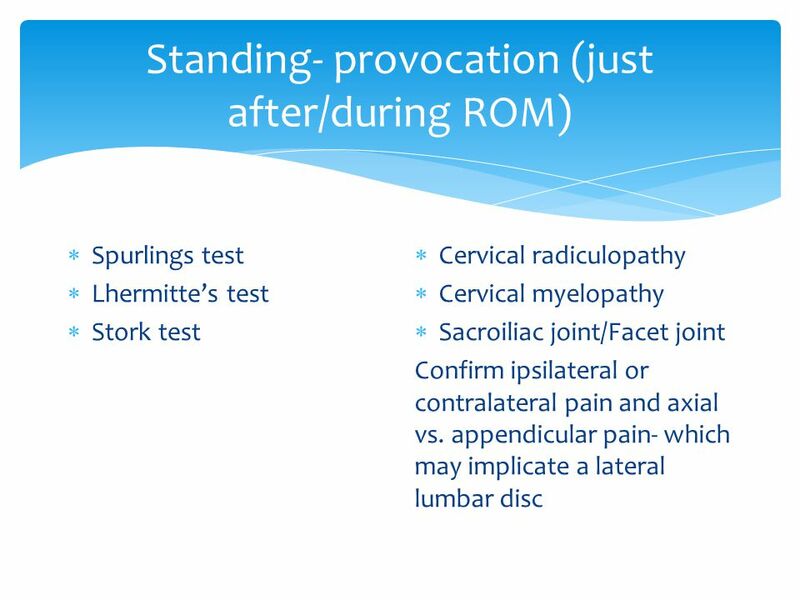 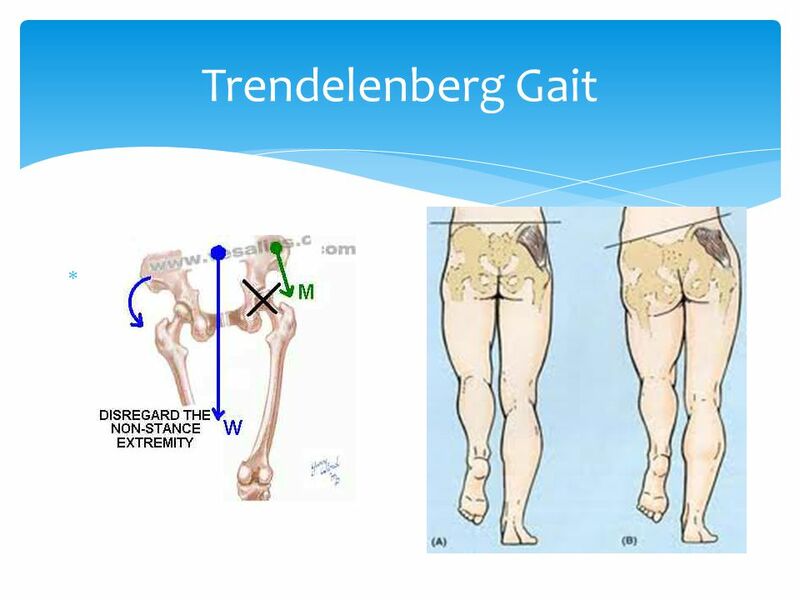 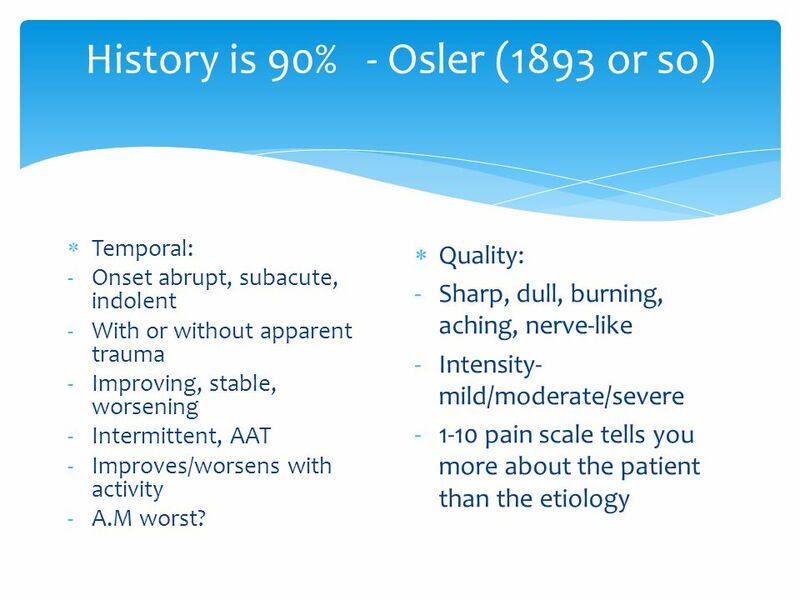 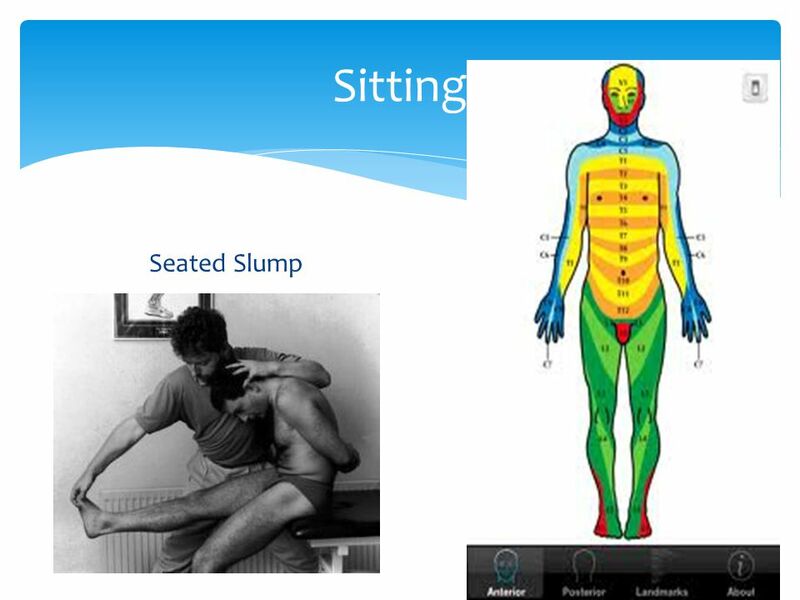 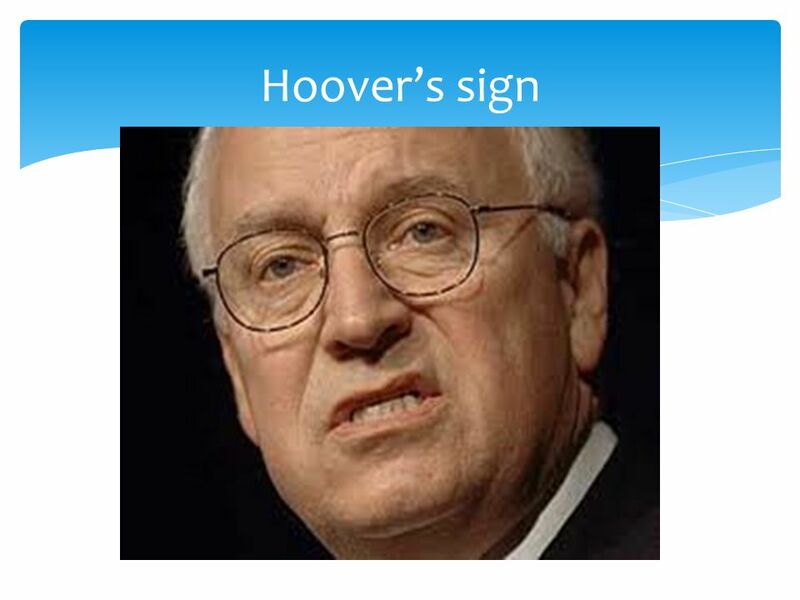 Evaluating the Hip/Pelvis  Major Complaint(s) (History)  Needs to be carefully conducted  The athlete should. 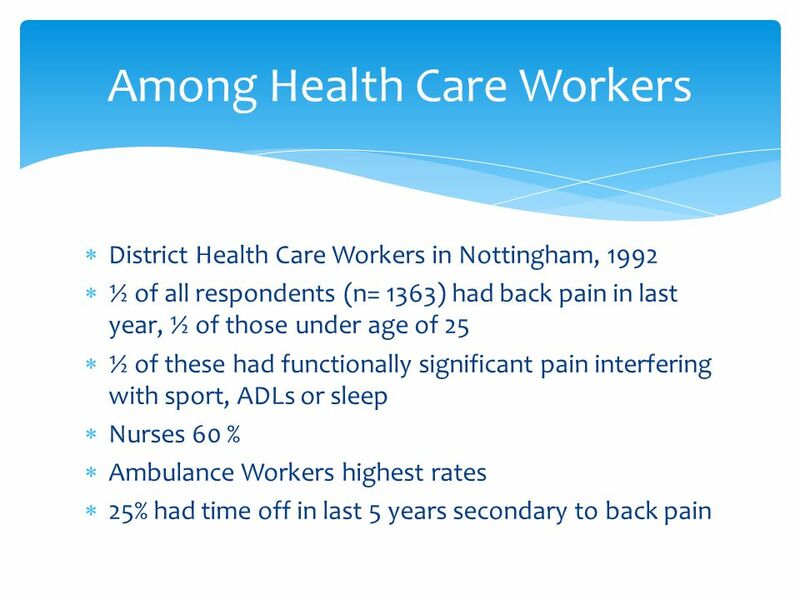 Jacobi Ambulatory Care Service Low Back Pain Intern Ambulatory Block Susan Dresdner, M.D.